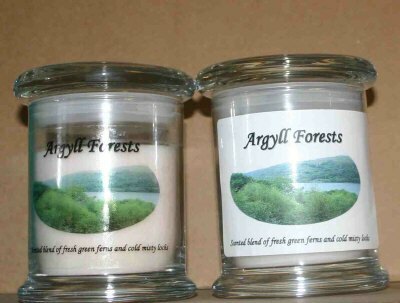 Gillen scented jar candle designed for the Argyll region. High quality soya wax with 100% essential oils, 50 hour burn time, Jar 116 mm high, 89 mm diameter. 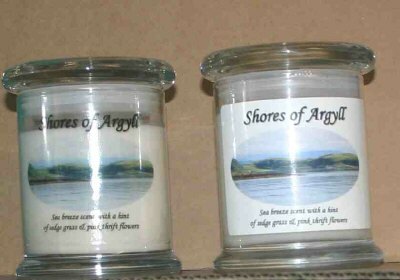 In a range of 4 scents. Click more images to see all designs, choose from drop down box. 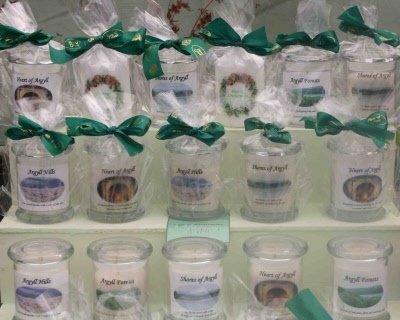 Jars are gift wrapped and tied with Argyll Tartan Ribbon. Sold singly. 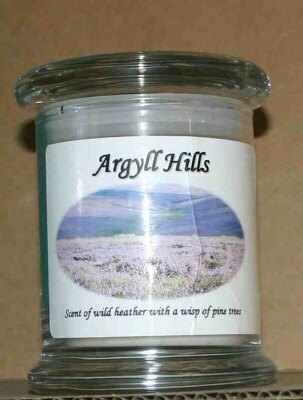 Argyll Hills - Scent of heather with a hint of pine trees. 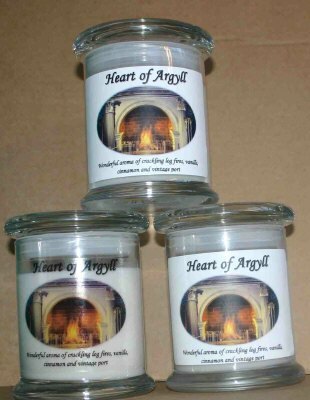 Heart of Argyll - Warm aroma of crackling log fires, cinnamon , vanilla and port.